The Crimean authorities have signed the first two major contracts with investors since accession to Russia. The contracts deal with energy and are valued at $30 million, said the head of the republic Sergey Aksenov. “We have signed the first two investment projects worth around $30 million, all in the energy field. At the same time, we have about 200 applications that are now being considered," Aksenov said Monday during a briefing for reporters. The comment comes as Russia is preparing to celebrate the anniversary of the reunification with Crimea. On March 17, 2014, President Vladimir Putin signed the decree allowing the region to enter the Russian Federation after the vast majority of Crimean citizens voted in favor in a referendum. 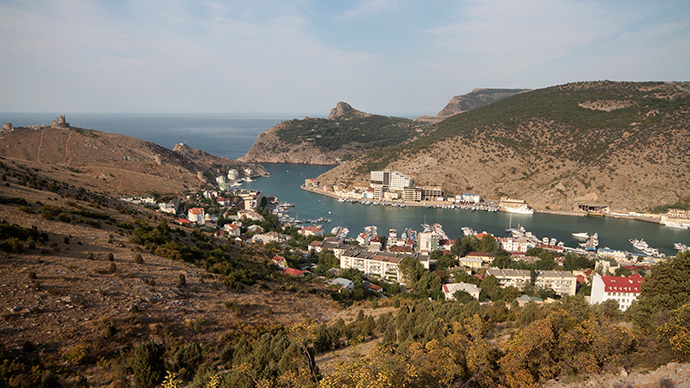 The government of Crimea has made officials personally responsible for refusing investment. The order is to prevent an unjustified refusal by unscrupulous officials, said Aksenov. "We will protect our investment opportunities. Anyway I'm sure that the flow of investment will multiply," he said, adding that the local government has opened a base of the Russian State Register in Crimea which will allow quicker transactions and the process of documents necessary for registration. That would lift a major barrier for investment activity in the peninsula linked to the registration of land rights. Aksenov said the duty-free economic zone in Crimea which came into effect in March 2014 has made the region particularly attractive to investors because of the tax breaks. Crimea has discovered how to technically bypass the sanctions regime, Aksenov said. "If we want to, we will find the means of inflowing capital to the peninsula, so that the main business of large companies, including those in Western countries, wasn’t hurt," he said, adding that investors "will be lining up to get the opportunity of investing in the Crimean economy." Meanwhile, the European Union sees no reasons to lift sanctions against Crimea, said the EU’s leading diplomat Federica Mogherini ahead of the anniversary. "The European Union does not recognize and continues to condemn this act [reunification – Ed.] of violation of international law," she said in a statement. The EU and the US imposed sanctions against Russia in the middle of March 2014, after Crimea became part of Russian territory. Restrictive measures included the freezing of assets and the introduction of visa restrictions for blacklisted people and companies, such as Gazprom, Rosneft and their executives. The measures also included banning Western companies from maintaining business relations with the individuals and organizations. Thus, such American companies as MasterCard, Visa, PayPal and Google suspended service to Crimea as part of US sanctions over the Ukrainian crisis.